So says Bear Fight (pseudonym) in edited excerpts from the original article* as posted at www.SeekingAlpha.com. The chart below [of] the U.S. monetary base, the price of gold and the U.S. consumer price index [clearly] shows [that] gold prices and the consumer price index have responded to historical growth in growth of the monetary base. 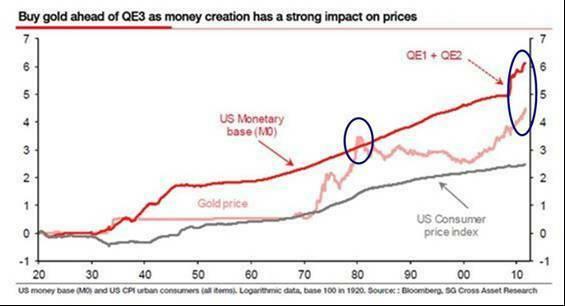 [The price of] gold experienced a euphoric bubble in the 1980s when gold exceeded the monetary base [and during this current] 10 year bull market in the price of gold the growth in the monetary base has kept pace [see chart below]. While I believe that QE3 will be a catalyst for further increases in the price of gold, similar to QE1 and QE2, the thesis on gold is not linked to another QE program. 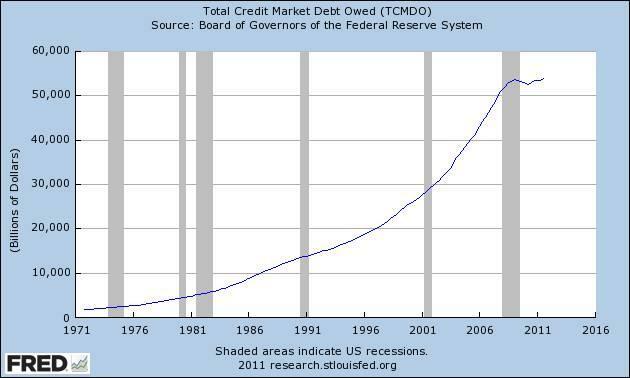 The thesis on gold is simply monetary debasement by world governments and debt growth since 1971. 3. 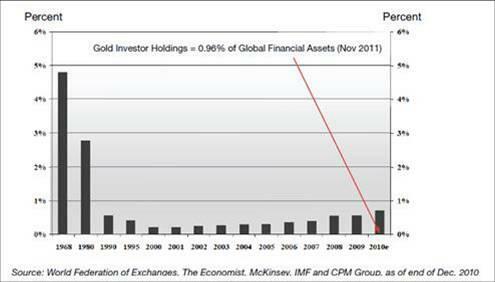 2012: More Money-printing Leading to Accelerating Inflation, Rising Interest Rates & Then U.S. Debt Crisis! Got Gold? 4. Economic/Currency Collapse Could Bring Martial Law and Confiscation of Your High-priced Gold! Got Silver? 5. What is Money – Really – and Why Do We Need to Own Gold – Really? 8. 2012: Is This How U.S. Financial Crisis Will Unfold Later This Year? 9. We Have Reached the End of the Road and are Staring into the Abyss! Got Gold? Next Bank of Canada Report Suggests Economic Situation is Dire and Could Deteriorate Rapidly!